Foscarini Twiggy Floor Lamp. This beautiful floor lamp displays timeless elegance. The Foscarini Twiggy Floor lamp is characterized by a thin and elegant stem. 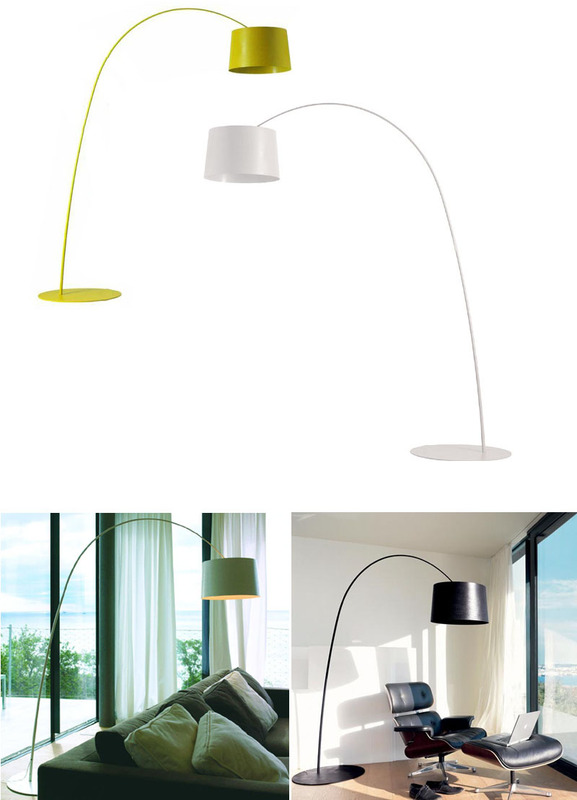 Its natural shape, slender silhouette and decorative design make it this floor lamp suitable for any interior space. Twiggy's natural elegance, lightness and flexibility have been re-proposed and re-worked for new applications. The table version re-proposes the sinuous elegance in scale for use on desks, whereas the concept�s characteristic flexibility finds its maximum expression in the ceiling version that resolves the problem of decentring the light point. Elegance, lightness and great lighting effectiveness are declined in the lamp versions that � being available in two sizes � guarantee ample application potential thanks also to the chromatic variants that allow a calibration of its expressive strength. As a designer, Marc Sadler has worked a long time in the sports sector, where he's experimented with new materials and innovative production processes. Has also worked successfully in furnishing and consumer products. Ample, linear, essential design combined with strong flexibility characterise the formal elegance and light sophistication of Twiggy. Floor lamp made of lacquered composite material on a fiberglass base. Includes dimmer.